This punch is so easy to throw together and is so tasty. 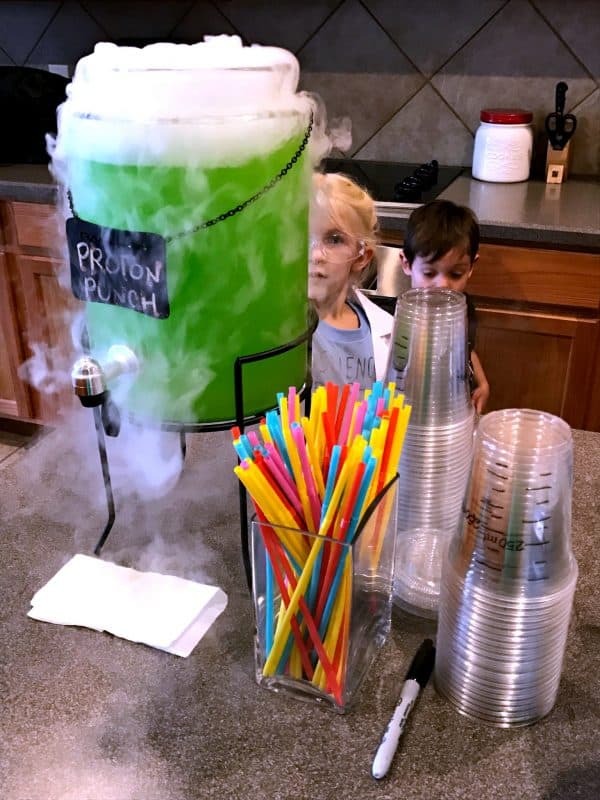 It’s been a favorite at every single children’s party I’ve thrown, and it’s a hit with the parents too, not just the kids! Even better? It’s just two ingredients! This is a great recipe to keep in your back pocket in case you need it next time! You just grab the two ingredients, mix them together, and serve! Easy-peezy! If possible, chill Hawaiian Punch and 7UP. 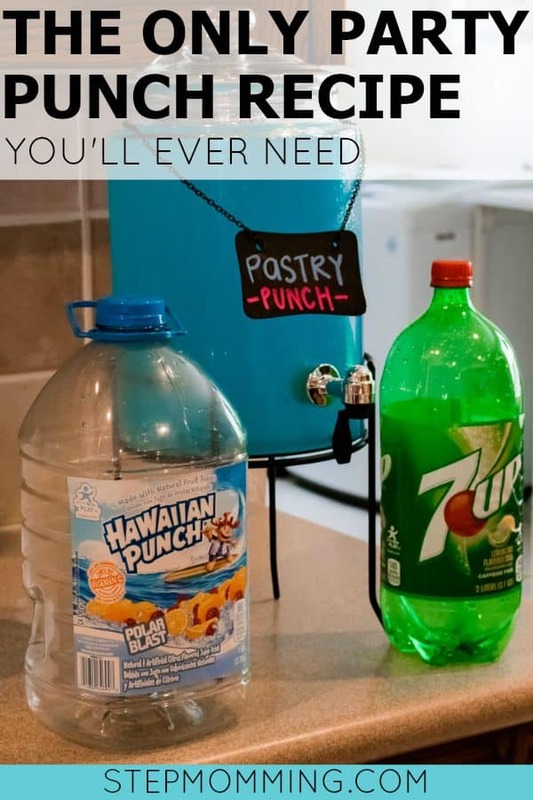 Pour Hawaiian Punch into a large drink dispenser. Pour 7UP into drink dispenser. Add Dry Ice for a smoky effect. This was a huge hit for our science birthday party last year! Come up with a catchy name for your punch. Depending on the theme, there are endless options here. Bonus points if they’re party-appropriate shapes! That’s it! 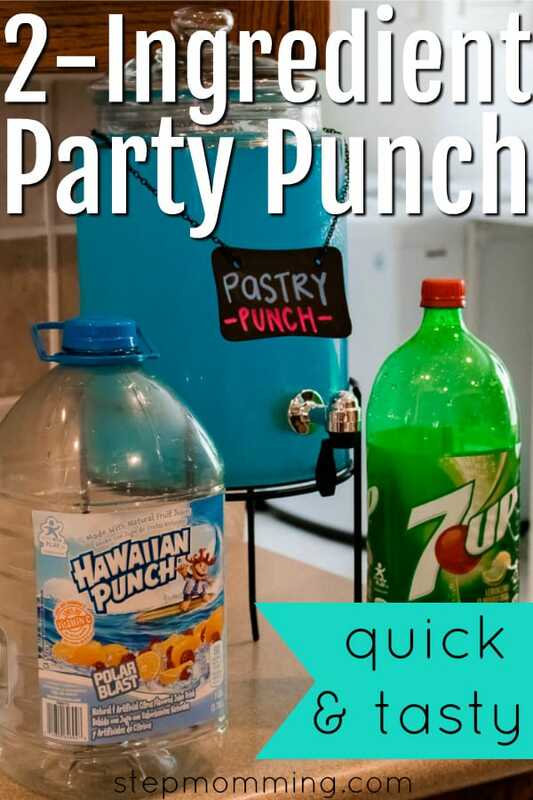 The easiest and tastiest punch for your next party!